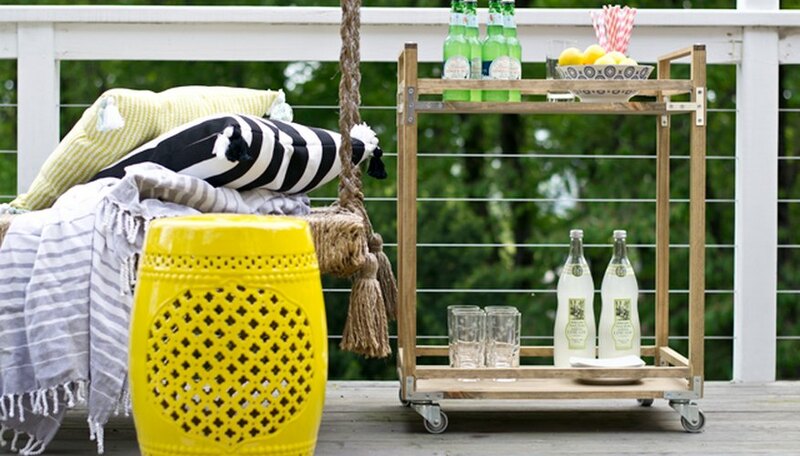 Learn how to make a DIY industrial campaign bar cart from simple materials from the hardware store. Bar carts have been on trend for a while — and for good reason: They are both beautiful and functional. Not only are they easy to move from room to room, but they are also multipurpose. Whether it's serving up your favorite refreshments, organizing your go-to craft supplies, or storing kitchen essentials, a bar cart will be one of your must-have pieces of furniture. Today, we're sharing how to make an industrial-style bar cart. 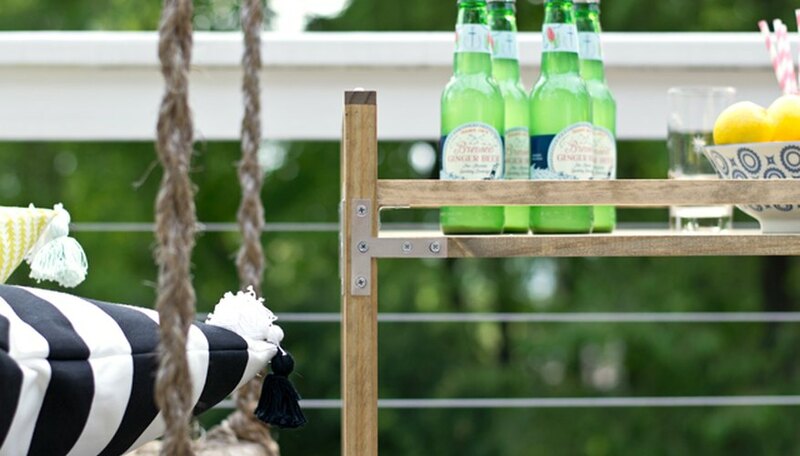 With a few simple materials from the hardware store, you'll be party-ready in no time. Cut the 18 inch x 48 inch pine board in half to form two 18 inch x 24 inch pieces. Most home improvement stores will cut this for free on a table saw or panel saw. You can also cut it yourself with a circular saw. 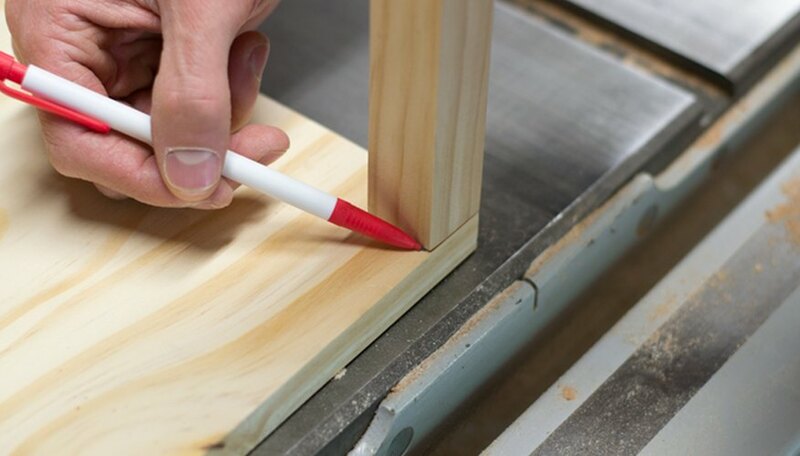 Hold a 1-inch square dowel rod on the corner of the pine board, and trace the edge with a pencil, outlining a corner notch. Repeat on all four corners, then repeat on the second pine board. 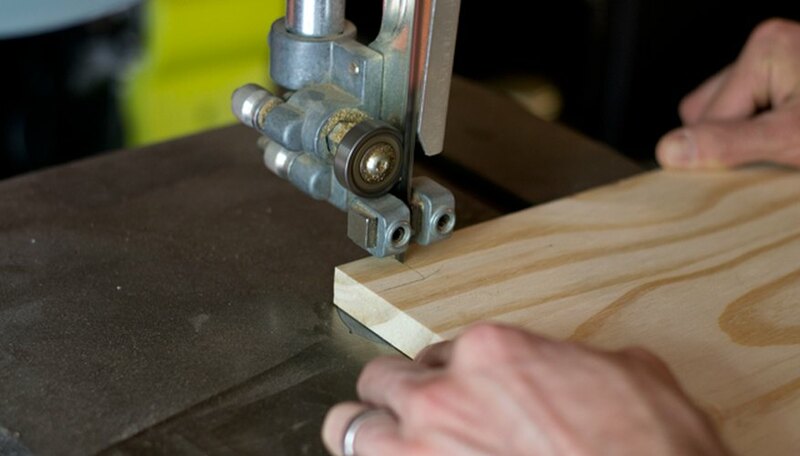 Using a band saw or jig saw, cut out the four corner notches on both boards. 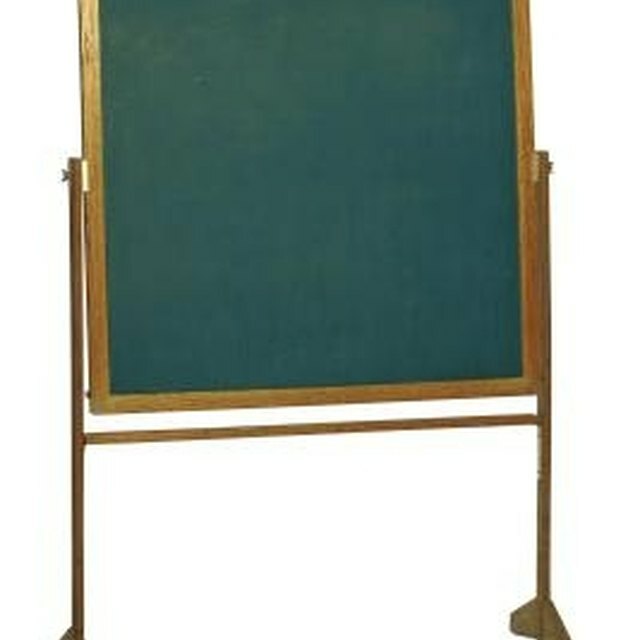 Place a swivel caster at the corner of one pine board, set in about 1/8 inch from the edges. One corner of the caster's mounting plate will be over the open notch. 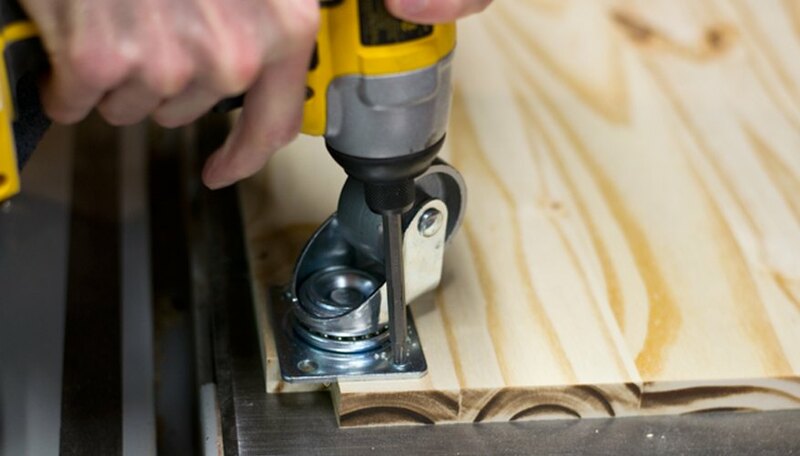 Mark the center of each mounting plate screw hole on the pine board with a pencil, then drill pilot holes with a 1/16-inch twist bit. Secure the swivel caster to the board with wood screws. Leave the screw hole over the notch open — it will be secured later. Drilling pilot holes for the screws will prevent the wood from splitting when the screws are driven. Cut the four 1-inch square dowels to 28-inch lengths. 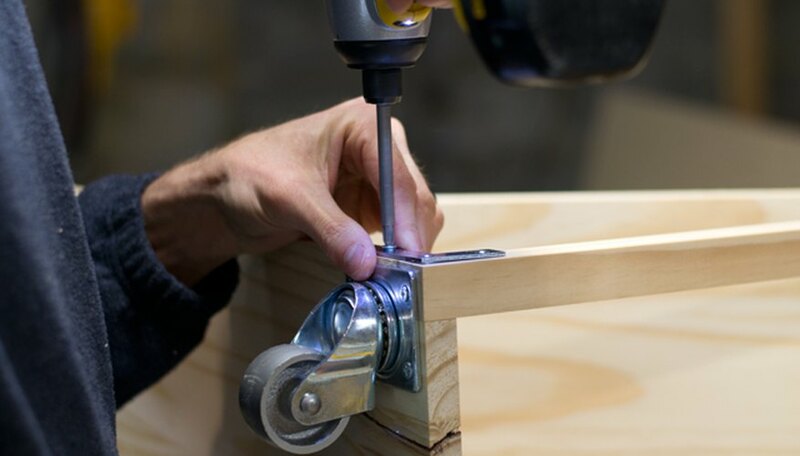 Hold a leg upright in a corner notch, and attach it by driving the fourth screw through the swivel caster mounting plate and into the end-grain of the leg. 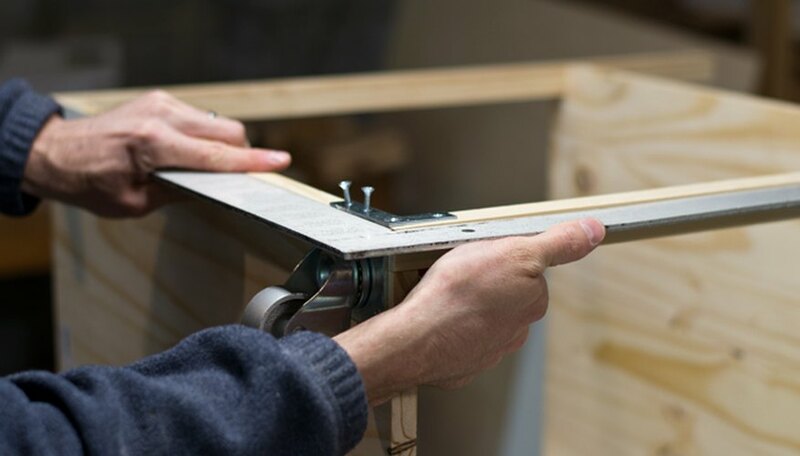 Use a framing square to ensure the leg is exactly perpendicular to the pine board, as shown below. 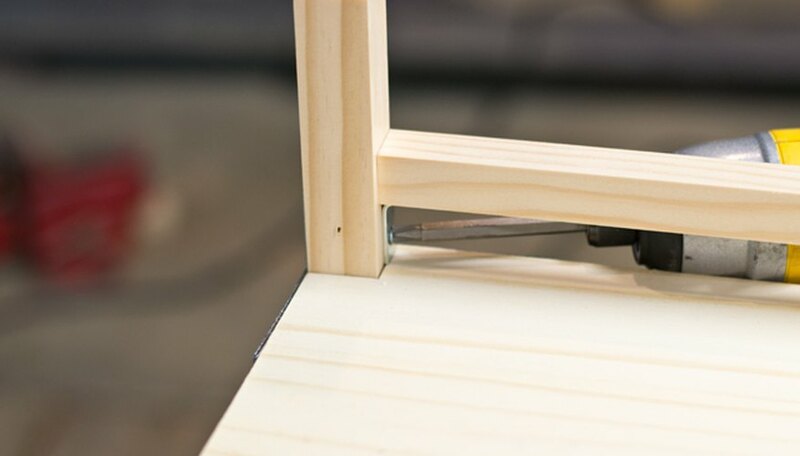 Now position a flat corner bracket across the front of the joint formed by the leg and bottom pine board, and mark the center of each bracket hole with a pencil. 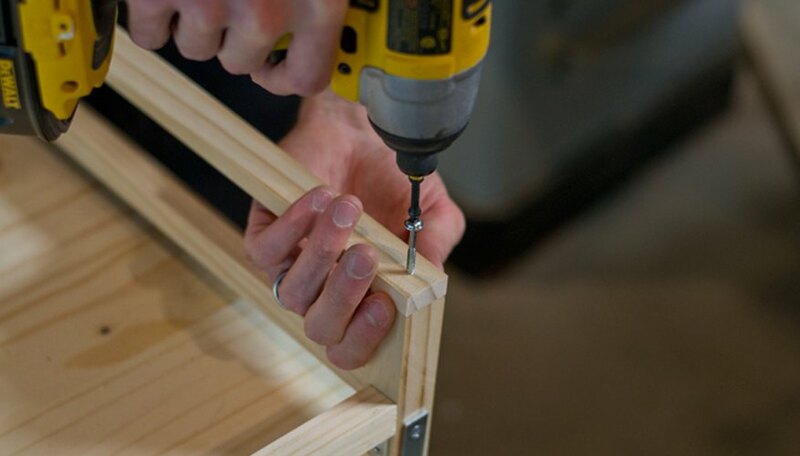 Then, drill pilot holes with a 1/16-inch twist bit, and secure the corner bracket with wood screws. Repeat on each corner, securing all four legs to the cart bottom. Slide the remaining notched pine board over the legs and rest it on the brackets. 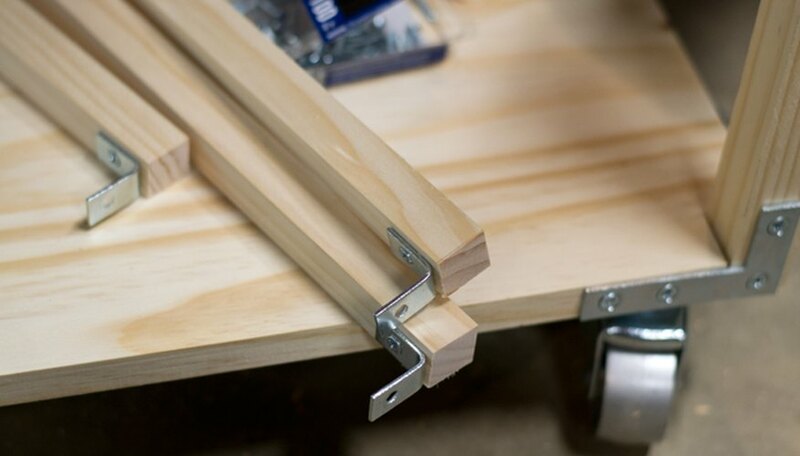 Secure the shelf to the brackets with wood screws. Center a T-plate on the joint where a leg and the top shelf meet, and mark the center of each hole with a pencil. 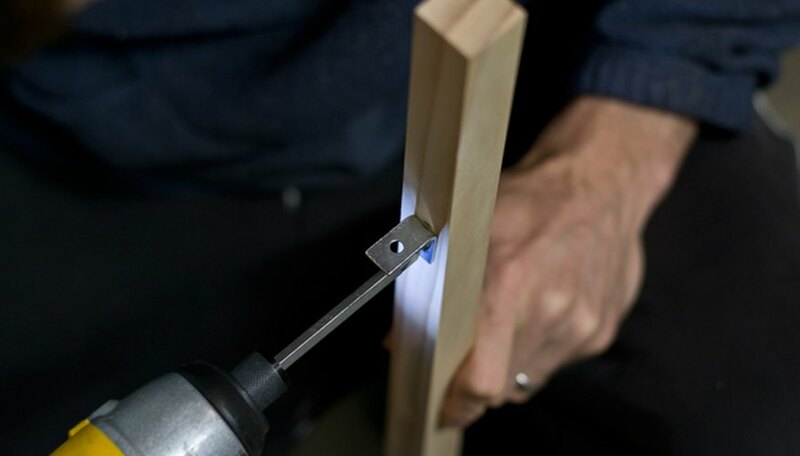 Drill pilot holes with a 1/16-inch bit, and secure the T-plate with screws driven into the pilot holes. Repeat on each side of all four legs. 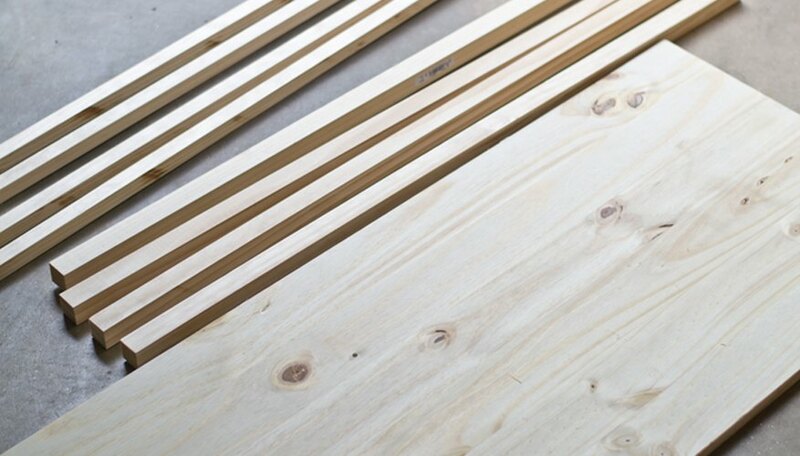 Cut the 3/4-inch square dowels with a miter saw into four 22-inch and four 16-inch sections. 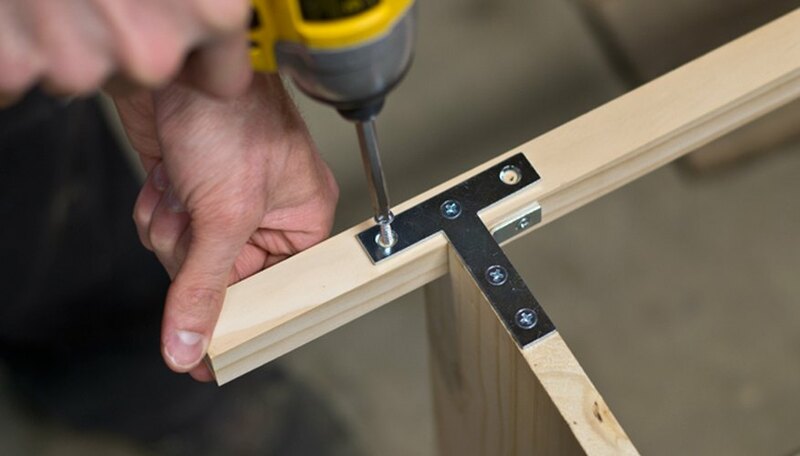 Attach 1-inch corner brackets to the bottoms of the 3/4-inch dowel sections with wood screws driven into drilled pilot holes. Drill pilot holes and secure the rails to the legs, just above the top shelf. 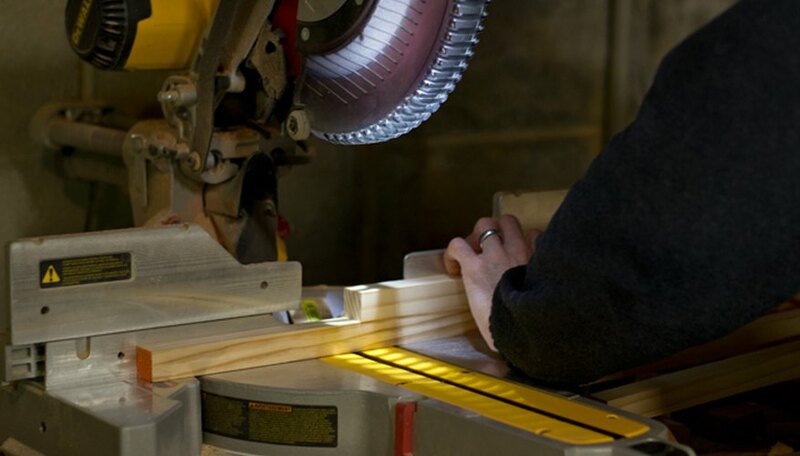 The brackets can sit directly on the shelves, creating 1-inch spacing. 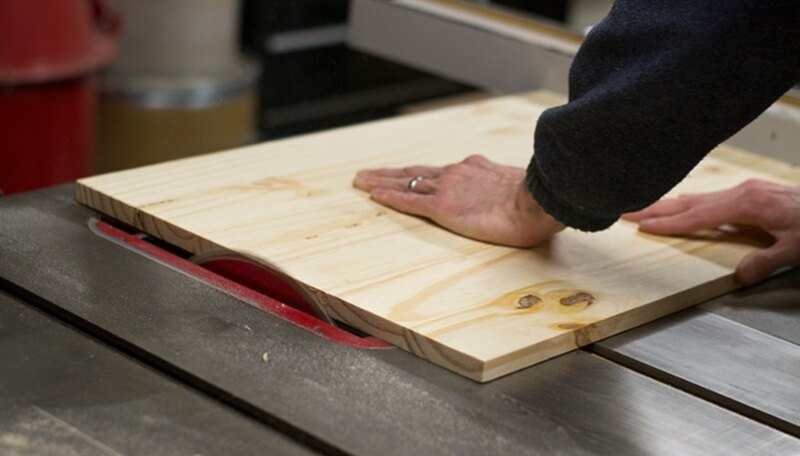 Cut the 1 inch x 1/2 inch pine board into two 18-inch sections. Drill pilot holes and attach the handle to the top of the legs with wood screws driven through the pilot holes and into the grain of the legs. Repeat on the other side of the cart. 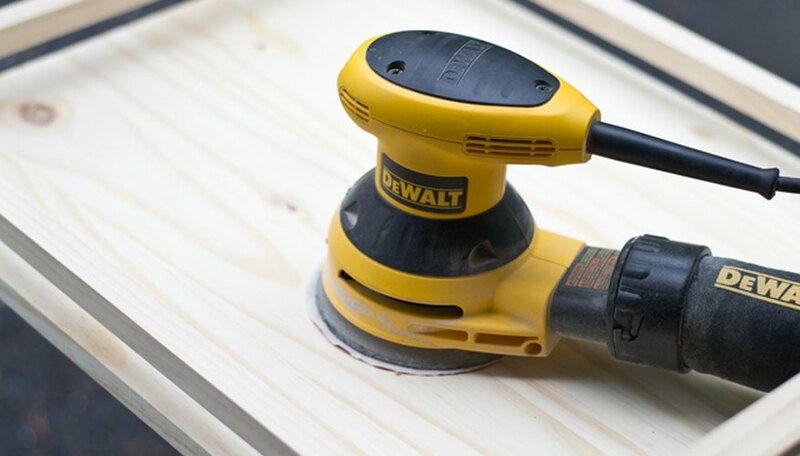 Using an orbital sander, sand the entire piece with 220-grit sandpaper. Hand sand hard-to-reach spots, like those spots right around the metal connectors, with loose 220-grit sandpaper. Wipe off all excess dust with a cloth. Apply stain and sealer-finish, following manufacturer instructions. 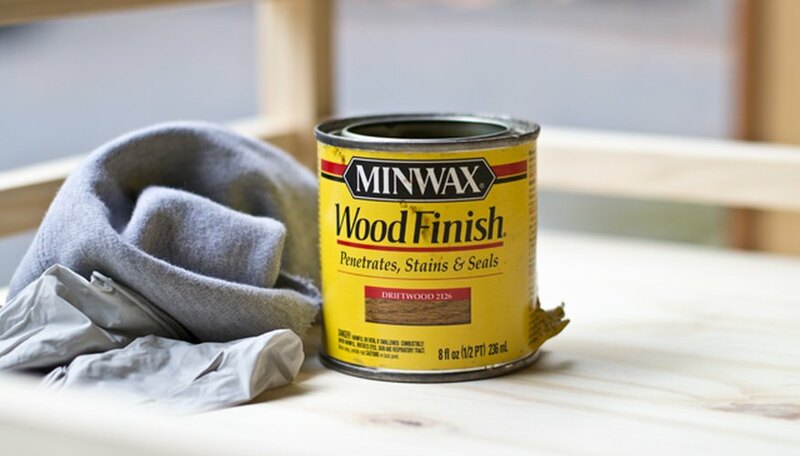 The product we used is a combination stain-and-sealer; other products may require that you stain first, then apply a sealer-finish, such as polyurethane. Allow to dry in a well-ventilated space. 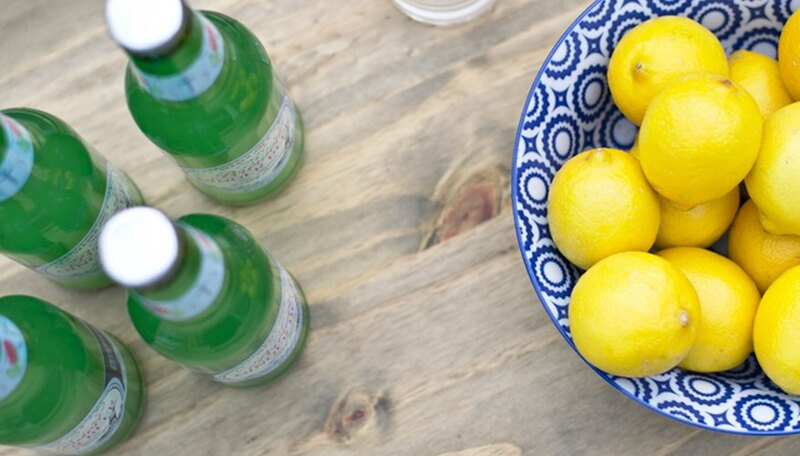 Once dry, load up with your favorite accessories and use at your next party.